In wartime, with limited fabric available for civilian use, clothes took on a whole new meaning. Accessories, especially hats, became true style statements – but could also double up as objects of improbable use. A Lady with a Hat is a fascinating life journey of the Norwegian-Jewish milliner May Aubert who survived the Second World War thanks to her inventiveness and intelligence, as well as luck. As she journeyed from Stockholm via Moscow and Japan to Canada, she smuggled 100,000 kroner in one of her hats. 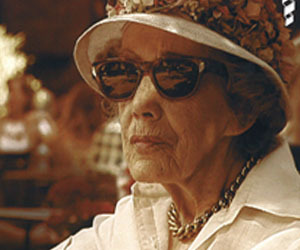 Eighty-seven years old and still practising at the time of filming, Aubert tells her own story with a characteristic wit and charm. May Aubert grew up in Kristiania, today’s Oslo. Before the Second World War she was a milliner’s apprentice in Berlin where she delivered hats to UFA Studio’s biggest stars. She opened her own hat studio in Oslo in the 1930s but at the outbreak of the Second World War was forced by the Nazis to escape the country. When she arrived in Canada, Aubert was engaged in war service, and later crossed the ocean to England where she worked as a telephone operator. After the war, Aubert went through the trauma of finding out her family had been killed in Auschwitz. With her studio taken over, she decided to emigrate to New York together with her husband. There she worked her way up to become a chief designer for the hat department at Bergdorf & Goodman. When rumours of her success reached Oslo, Aubert was commissioned to make hats for Norway’s crown princess Sonja. Shortly after the screening of A Lady with a Hat on Norwegian TV in 1999, Aubert received a long-overdue compensation from the Norwegian government for her persecution during the war, and the confiscation of her salon. Elsa Kvamme (b. 1954 in New York) is a director, scriptwriter, cabaret artist and songwriter. She started as a theatre actress in Denmark and in 1977 set up her own theatre company, Saltkompagniet, which performed throughout Europe over a period of six years. Elsa Kvamme has written more than 20 plays and published three CDs of her own songs. After studying Film in New York she wrote the script for the children’s film Maja Stoneface. 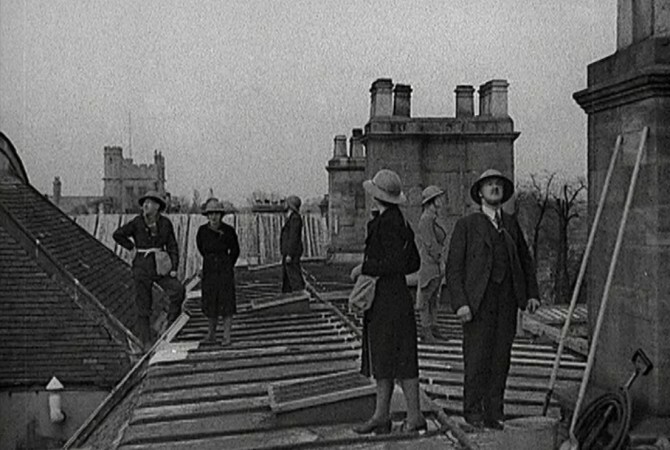 She then made the documentary films Students at War (1997) and A Lady with a Hat. The children’s film Fia! (2003) is Elsa Kvamme’s feature film debut. Kvamme’s A Lady With a Hat, accompanied by a newsreel item featuring hats and shot during the Second World War, will be played again on Saturday 28 March in The Hochhauser Auditorium.